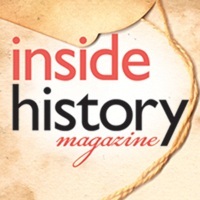 Inside History magazine is for people passionate about the past, whether it's family history or Australia and New Zealand's heritage in a broader social context. Published bi-monthly, beautifully designed and distributed in print and digital, Inside History provides insightful, interesting and practical features to its readership. We believe that sharing the stories of our ancestors is an important way to strengthen the ties within local communities. We're proud to be sponsoring the findmypast.com.au Anzac Memory Bank project and believe that it's a great way for people to ensure their ancestor's sacrifice is not forgotten. As the centenary of World War I approaches, it is particularly timely to highlight the experiences and memories of our brave men and women who went away to war, and findmypast's Memory Bank is an important initiative that enables the sharing of these experiences much easier.